Ginger is a very healthy, nutritious plant. It has numerous benefits for humans regarding the intake of vitamins, minerals, and other valuable substances. We mostly come into contact with ginger in form of a spice. However, its application can be much wider. It has been used for thousands of years in the treatment of many health problems and illnesses. Therefore, the value of its root and numerous benefits for humans are unquestionable. We must point out its anti-inflammatory effects (1), as well as those associated with the reduction of digestive and gastric disorders. One of the most significant and exciting effects of ginger is on the fatty accumulations in human body. Therefore, ginger extract is often one of the ingredients of dietary supplements for weight loss. Ginger does not only enhance our digestive function, but it has thermogenic effects that help accelerate our metabolism (2). This is a prerequisite for getting rid of the fat accumulations. In addition, a healthy metabolism is necessary for transforming fat into energy. Ginger belongs to the group of perennial herbs. This plant originates from China. It can grow up to 1 meter in height. Its roots can grow horizontally up to 20cm. The root is brown and white, with a fibrous interior. It contains valuable essential oils whose composition depends on the origin of the plant (3). In the East, it is a common spice widely used in everyday dishes that has a pleasant taste and beneficial effects on nutrition. On the other hand, in the West, ginger was used mostly in special kinds of desserts. We will later tell you more on the modern use of ginger worldwide. The ginger root is rather fleshy, very aromatic, and full of minerals. It contains proteins, healthy fats, potassium, copper, magnesium, vitamins C and B, niacin and numerous other valuable nutrients (4). It can be used to stimulate sweating in order to get rid of the toxins from the body, but also from the liver. Therefore, ginger is a natural medicine. This interesting spice has been used to treat various medical conditions for thousands of years. It fights against stomach pain, nausea, rheumatism, some types of bleeding, some types of headaches etc. It is also very efficient in wound healing. Different researchers have proved that ginger root helps in lowering cholesterol level in the blood, reduces pain, induces digestion and increases sperm mobility. As we can conclude, ginger is much more than an ordinary spice. It is a very healthy herb that we all should include in our menu at least once a week, especially those who want to regulate their weight. Let’s get into depth on how ginger actually works once we consume it. If you want to lose weight, you will hardly find a better ally than ginger. By slowly introducing this spice into your diet, you will wake up your digestive system, accelerate your metabolism, and initiate the process of melting fat deposits in your body. Ginger can improve digestion by increasing the pH value in our stomach and stimulating the release of the digestive enzymes. It even has a role in the prevention of gastrointestinal cancer (5). Given that ginger has a fiber structure, it also increases the mobility of the intestines which is very important. There is a medical condition called lazy intestines that diminishes the life quality when it comes to regular digestion, bloating and constipation issues. It also has negative effects on the weight loss process. The combination of increasing the pH value and stimulating the production of digestive enzymes leads to faster absorption of nutrients. At the same time, the non-beneficial constituents that cause flatulence and constipation are promptly excreted from the system. Additionally, a more efficient digestive system can treat the intake and processing food more effectively, which significantly contributes to weight loss. We all know how important metabolism is for our general health and especially for weight loss. Some people try different diets, workout and still have trouble losing weight. Once they manage to accelerate their sleepy metabolism, the situation changes. There are indications that ginger stimulates metabolism by up to 20% and that it can significantly increase the rate of fat burning (6). By stimulating the metabolism, fat stored in our body slowly melts, i.e. gets transferred into useful energy. This does not only affect weight loss but can help lower cholesterol and triglyceride levels. In 2012, a group of researchers from Columbia University in New York investigated the effects of consuming a warm ginger drink on the energy consumption, satiety feelings and metabolic risk factors in obese men (2). They found that 2 grams of powdered ginger dissolved in warm water has a significant effect on warming up our body, accelerating our metabolism, increasing the feeling of satiety and, consequently, lowering the need for food consumption when compared to the control group. The feeling of reduced hunger lasted up to 6 hours after consuming this ginger drink. Ginger and lemon successfully join their strengths in the weight loss action. Both of these plants stimulate fat loss and toxin removal from the body. They are considered to be a natural slimming formula that is a significant contributor to the efforts of millions of people around the world trying to balance their excess weight. A study published in the Journal of the Science of Food and Agriculture has confirmed that gingerol, the active ingredient found in ginger, has positive effects on reducing obesity caused by improper nutrition too rich in fats (7). Ginger has been proven to have anti-bloating effects and to suppress hunger. Furthermore, the study showed that ginger protects our digestive system and accelerates it. It also stimulates the release of toxins and lowers cholesterol levels, according to the same study. The study investigated the effects of gingerol on changes in body weight, glucose serum, insulin and insulin resistance, as well as the lipid profile in plasma and liver. Furthermore, scientists analyzed the amylase, lipase and leptin activity in cases of high intake of fat and noted significant positive effects and changes in all of these tests. A study comparing the effects of ginger and orlistat on obesity was published in the European Review for Medical and Pharmacological Sciences. 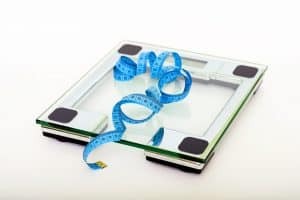 The study examined the role of liver enzymes (lipase and amylase) and the effects of orlistat, a synthetic drug that stimulates losing weight by preventing the activation of these enzymes (8). According to the conclusion of this study conducted on mice, the group that got both the drug and the ginger extract showed significant weight loss results despite the fact that orlistat consumption increases appetite. Combined use led to reduced levels of lipids in serum. The group which was taking only ginger had a significant increase in HDL (the so-called “good” cholesterol) as well. In addition, ginger did not increase bilirubin or amylase activity, while orlistat decreased their levels. Therefore, this study confirmed the positive influence of ginger on reducing body weight without changing the enzymatic and hormonal function of the organism. We also want to point out that it is not enough to use this precious herb as a spice in some of your dishes. You should use fresh ginger root to prepare special potions and meals required for a healthy weight loss in combination with healthy living habits. This way, you can expect to achieve a significant weight loss in a reasonable period of time. Let’s take a look at some ways in which you can use ginger to lose weight. We are bringing you several most effective recipes when it comes to the use of ginger for weight loss. It is up to you to choose the one that will match your lifestyle and preferences the best. Grate a small piece of fresh ginger root (around 1 cm) and pour hot water over it. Leave it covered for a few minutes and then filter the tea. You can add some cinnamon, lemon or honey into the tea to improve the taste. Consume it in the morning and in the evening and you will soon notice the results. Prepare green tea and add a little bit of freshly grated ginger root or fresh ginger spice into it. Let it cool and consume in the morning before breakfast. Many people, including the experts and nutritionists, say that this combination is ideal for cleaning your intestines and accelerating the metabolism. Consuming this energy drink, also known as the Sassy water, is a perfect way to refresh oneself during the hot summer days. It is very easy to prepare. Immerse one lemon sliced into thin pieces in a liter of filtered water. Add slices of cucumber, 8 fresh mint leaves and cut one medium-sized ginger root. Drink this mixture daily and, after a few days, you will feel “lighter” because you have thrown out the excess water and toxins from your body. You will agree that summer is not the very best time to drink hot tea. That’s why you can make a ginger ice tea! It will speed up your metabolism and boost sweating, which will directly trigger the melting of fat deposits. All you need to do is place two spoons of grated ginger root into a pot with 4 cups of water. Bring it to the boiling point. Filter it, let it cool, add some lemon juice (according to your preferences) and a couple of ice cubes. You get the perfect, refreshing ice tea which will help you lose weight! Put 130 g of horseradish and the same amount of ginger into a blender. Blend them and add lemon without seeds, 2 spoons of organic cinnamon and 3 spoons of honey. Mix all ingredients. Transfer the mixture into a glass jar with a tight lid. Keep it in the fridge. Consume two large spoons immediately after meal each day. After a couple of weeks, your waist will become noticeably thinner. We recommend you not to buy ready-made ginger drinks and ginger granules but to use the fresh product. Various supplements can contain ginger, but industrial and pharmaceutical processing can diminish some of its positive effects. Fresh ginger juice and mixtures are much more beneficial (9). When to avoid using it? People taking anticoagulant medications. Ginger dilutes blood, which means that people who are already taking blood anticoagulant medications or have bleeding disorders must avoid it. People taking medicines to control blood pressure. Some medicines for controlling blood pressure may interact with ginger. The blood pressure can become too low and heart rate can be significantly changed. If you are taking medicines to control your blood pressure, avoid consuming ginger. Pregnancy. Even though some women tend to use ginger to relieve their morning sicknesses, experts advise not to consume it without prior consultation with a doctor. Some studies have shown that there is an increased risk of bleeding during pregnancy, as ginger dilutes blood and improves circulation. Therefore, the majority of doctors actually recommend avoiding ginger completely during pregnancy, especially if you suffer from bleeding disorders. When it comes to birth weight, the research has shown that ginger has no effect on baby weight. Children. Children under the age of 12 should not consume ginger, as it can cause heartburn, gases upset stomach or mouth irritation in sensitive children. Those older than 12 can consume small amounts, for example, 1 gram per day. Consulting a pediatrician before adding ginger to your child’s diet is recommended. Most people tolerate ginger very well and often use it to relieve various digestive problems, such as nausea or vomiting. It is widely used to relieve symptoms of arthritis and menstrual pain. It is well-known in different diets. However, we often ask ourselves, how much ginger is too much? Experts point out that adults who do not suffer from any medical condition can consume up to 4 grams of ginger powder per day. In studies investigating the effect of ginger on the health, the most common dose was 250 milligrams to 1 gram of ginger consumed 3 to 4 times a day (11). Another great thing about ginger is that you can use it in fresh or dried form. Grated, dried ginger is a lot more concentrated and you should consume it less than the fresh one. One spoon of fresh ginger is equal to 1/4 teaspoon of grated dried ginger. Ginger is a food most often used as a spice that works well for your health and should be included in your diet, especially if you want to lose weight. However, there are situations and medical conditions when ginger should be avoided, including diabetes, cardiovascular conditions, as well as pregnancy. On the other hand, it has excellent anti-inflammatory effects, it speeds up muscle repair after exercising and helps people suffering from osteoarthritis. It warms up the body and stimulates the circulation. This accelerates our metabolism. It also helps melt away deposits of fat in our body. Ginger is also good for relieving seasickness and other types of nausea. It helps in strengthening the immune system, improves digestion, heals our body, prevents the development of type 2 diabetes and according to some experts, even cancer (1). In conclusion, there are much more benefits than the side effects of using ginger. If you do not belong to any of the risk groups mentioned earlier, and you want to lose weight, you should definitely buy ginger. (4) Bode A M, Dong Z. The Amazing and Mighty Ginger. Chapter 7 in Herbal Medicine: Biomolecular and Clinical Aspects. 2nd edition. Benzie IFF, Wachtel-Galor S, editors. Boca Raton (FL): CRC Press/Taylor & Francis; 2011.